And after that lemur post, I have to go to the other iconic Madagascar animal with a chameleon… sorry, I don’t know what species this is, but I know it is the female of the species – the male is similarly patterned but grey in color. Love it!!! Wish you could bring me new lizards home. So many lizards here too! 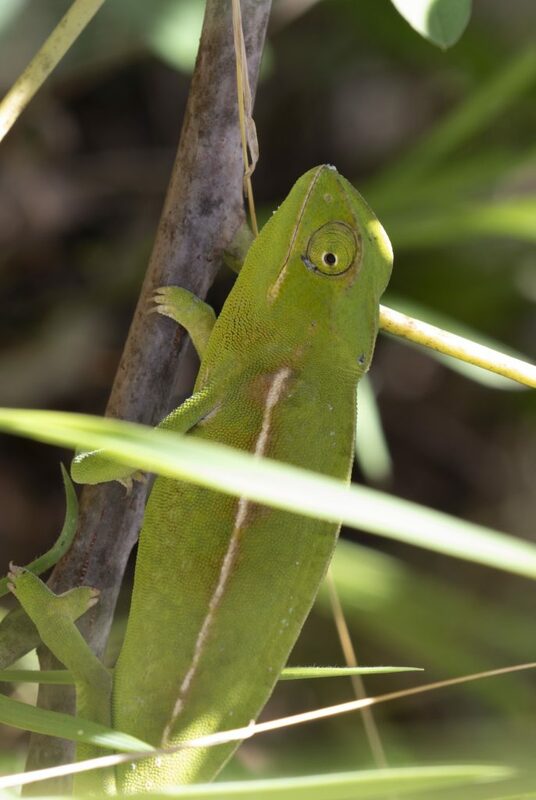 Geckos in my hut, little lizards on the paths outside, need to head into the spiney forest soon to find more chameleons. Frogs too – makes me wish I could always have my camera in my hands.